Knowledge Services, an information technology and professional services company, plans to build new headquarters in Hamilton County and create up to 400 new jobs by 2021. The woman-owned company, which provides cloud software and services to complex organizations, will invest more than $17 million to build and equip a new 80,000-square-foot headquarters at 11001 USA Parkway in Fishers. Knowledge Services plans to break ground on the new office space in 2018, with plans to move into the new space in 2019. This is Knowledge Services’ fourth expansion announcement in five years. Knowledge Services currently employs 1,200 Hoosiers and more than 1,500 professionals across the United States. Indiana is home to two new nature preserves, raising the number of state-designated and protected sites to 279.The two new nature preserves, both in Owen County in the Shawnee Hills Natural Region, are Section Nine Seep Springs and Pleasant Grove, which are both owned and operated by the DNR Division of Forestry. Section Nine Seep Springs is a 46.77-acre property with a combination of seep spring, mesic-upland forest and stream-natural community types. Pleasant Grove includes 57.7 acres in Morgan Township. It contains a mosaic of mesic-upland forest, sandstone cliff, seep spring and stream-natural community types. The Indianapolis Ballet Inc. announced the launch of the Moving Forward Capital Campaign toward the establishment of a professional ballet company for Indianapolis. The goal of the capital campaign is to raise $1.2 million by the end of 2017. The professional company will be named Indianapolis Ballet and debut at the Toby Theatre at the Indianapolis Museum of Art (IMA) in early 2018. The Indianapolis School of Ballet has been recognized as the premier destination for classical ballet training, main-stage performances and community outreach in Indianapolis since its founding in 2006. The Indianapolis Ballet debut season is scheduled to launch in early 2018 with two weeklong residencies confirmed at the Toby Theatre at the IMA. Auditions will be open to elite-level dancers from across the country. Dates and locations for company auditions will be posted at indyballet.org. The Indiana Office of Tourism Development awarded six grants to various communities throughout the state. Two grants were awarded through their Destination Development Grant Program to communities committed to making their areas desirable areas to visit and live, and four were through the Marketing Asset Grant initiative, a competitive matching grant program designed to assist organizations with marketing communication and promotion. The recipients of the Destination Development Grant were: Pike County Parks and Recreation Department (awarded $228,900 in matching funds to build an event center in Prides Creek Park), Indiana State Museum and Historic Sites Corporation (awarded $107,000 to develop an exhibition space at the Whitewater Canal Historic site). 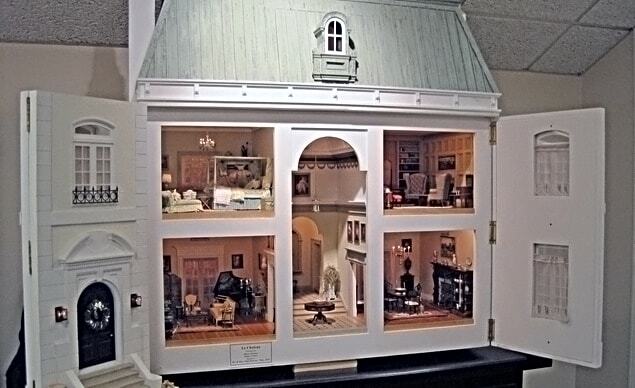 The recipients of the Marketing Asset Grant were Museum of Miniature Houses & Other Collections Inc. (awarded $7,386 to create a mobile responsive website), Fayette County (received $9,416 to install new wayfinding signage in downtown Connersville), Blackford County Economic Development (awarded $19,850 to fund the creation of marketing collateral and aligns with several revitalization projects underway in the county) and Renew Cannelton Inc. (awarded $20,000 to install new historic gateway signage). The National Association of Women Business Owners announced support for the recently created Congressional Microbusiness Caucus. The bipartisan caucus was formed in the U.S. House of Representatives by Reps. Pat Tiberi, R-Ohio, Tim Ryan, D-Ohio, Anna Eshoo, D-Calif., and Barbara Comstock, R-Va. The Small Business Administration classifies microbusinesses as firms with one to nine employees. There are 3.7 million microbusinesses in the United States, providing 10.8 percent of private-sector jobs and making up 75.3 percent of all private-sector employers. Gov. Eric J. Holcomb honored 34 Indiana companies with the Governor’s Century or Half Century Business Award, recognizing each company for its longevity and service to its employees, community and the state. The Governor’s Century and Half Century Business Awards honor Hoosier businesses that have remained in operation for a minimum of 100 or 50 consecutive years and have also demonstrated a commitment to community service. More than 1,400 companies from across the state have been recognized during the 26-year history of the award. Some of the honorees were Arni’s restaurant, Browning Day Mullins Dierdorf, Cassady Electric, DeMotte State Bank and Pacers Sports and Entertainment. According to 2016 census data, Whitestown, in Boone County, was the state’s fastest-growing community with a growth rate of 9.2 percent. Last year marks the sixth consecutive year that Whitestown has ranked as the state’s fastest-growing locale. During that time, Whitestown’s population has more than doubled from 3,147 in 2010 to 7,814 in 2016. Purdue’s Center for Food and Agricultural Business will offer two programs for food and agricultural marketing professionals this year. Market Planning for Agri-Marketers, which runs from July 24-26, targets those responsible for implementing marketing activities. Strategic Agri-Marketing, which runs from Oct. 10-12, is designed for directors and managers who develop and lead marketing strategies. Presenters for both programs are Scott Downey, Purdue associate professor and associate center director; William Secor, Purdue clinical assistant professor; and Justin Funk of Canada’s Agri Studies Inc. To register and learn more, visit agribusiness.purdue.edu. 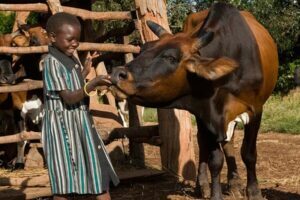 Elanco Animal Health, a division of Eli Lilly and Company, received a $2.86 million grant from the Bill & Melinda Gates Foundation to provide sustainable development solutions to address food insecurity in East African countries. According to the Food and Agriculture Organization (FAO), 32 percent of the people in East Africa are undernourished and 40 percent of those living in sub-Saharan Africa are living on less than $1.25 per day. In East Africa, 18 percent of children are underweight. Through this collaboration, Elanco intends to apply the learnings from East Africa to other geographies and continue its leadership in food security efforts. Kimbal Musk, entrepreneur, venture capitalist and co-founder of food nonprofit The Kitchen Community, is set to open two restaurants in greater Indianapolis. His company, The Kitchen Restaurant Group, will open its latest Next Door restaurant inside the empty Double 8 Foods building located in Meridian-Kessler. Musk plans to also open a farm-to-table restaurant, Hedge Row, on Massachusetts Avenue. The SportsBusiness Journal and SportsBusiness Daily recognized the “Greatest Spectacle In Racing” during the annual Sports Business Awards ceremony held this spring in New York City. The 100th running of the 500 was named the 2016 Event of the Year, beating out the World Series, Ryder Cup and World Cup of Hockey, among others, for the title.